Most homes nowadays have a deck in the backyard. They come in all shapes and sizes and serve many functions. They can spruce up your backyard’s aesthetic or simply serve as an outdoor space to enjoy in the warm months of the year. . They’re a good way to allow you to spend more time outside, whether you’re throwing a barbeque or just reading a book on a beautiful summer day. A deck is an outdoor addition to your home to help transform your backyard and add that functional space that you need. Before you begin designing your deck, think about the purposes you want it to serve. Will you be hosting a lot of get togethers on your deck or will be primarily for you and your family? Will you want to have the space to move around or will there be seating and other things such as plants, tables, a fireplace, or storage space on your deck? All of the other factors that go into making a deck will depend mostly on the functions of it, so list out what you want and think about it carefully. After deciding the function of your deck, it’s time to think about what layout will work best and how much space you’ll need. Think about where you might want to place everything. Maybe you want your deck to have split levels to help separate some of your space. Will your deck have stairs and railings? Also consider the shape. Some decks are simple squares or rectangles while others have curves and no defined shape. Trust the professionals at Groff Landscape design to help you choose the best shape, size, and layout for your new deck. One of the final steps of deck construction is choosing what material you want to use. Think about weather and maintenance when choosing the best material. Most decks are made of wood because it’s typically the cheaper option, however they need to be sealed and pressure-washed occasionally and often require more maintenance. Another material some homeowners use is composite. 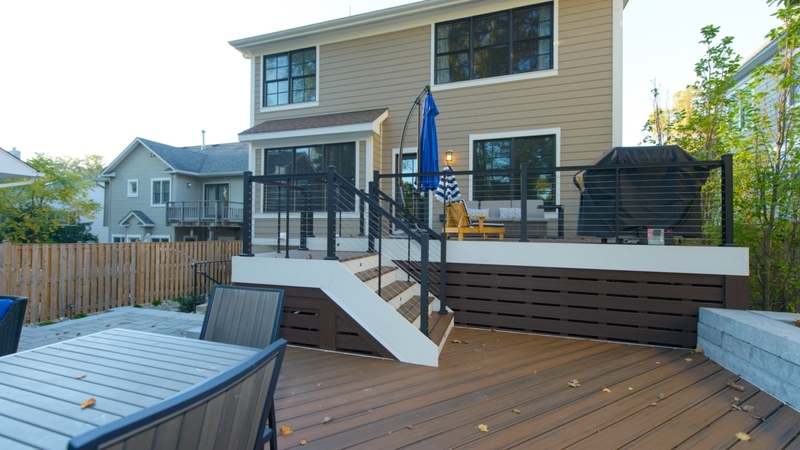 Composite is made of wood fiber and plastic and requires less maintenance than a wooden deck, however composite decks are typically more expensive. Make sure you also consider the railings. You could choose the same material as the deck or something for durable like metal. Regardless, think about the upkeep your deck may require and get advice from a professional at Groff Landscape Design in Northern Virginia when going through this step. Groff Landscape Design in Northern Virginia will design and install a lovely deck for you, making sure you get the high-quality client experience you deserve. Visit our website today to read about the other services we offer or call us at (703) 999-8225 to get started!